Having a dominant player in the post opens up unlimited possibilities and options for your team. Winning Hoops’ newest book, Developing Post Players: A Complete Training Guide, brings to life all the critical elements of successful post play. 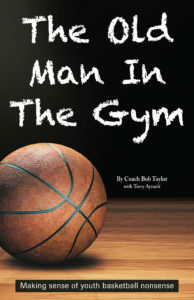 In 160 pages, this action-packed book details all the fundamentals and advance skills needed for your players to dominate in the paint. Containes over 300 clear photos and detailed diagrams with in-depth information on essential post skills such as Offensive, Defensive Rebounding, Footwork, Post-Up Moves, Battling For Position, Post-Player Drills, Set Plays For Post Players, Help-Side Defense and much, much more!